Here’s to living in trousers five days a week (or more! )—in style. Alex Gonzaga’s outfit is corporate meets day-off casual. Elisse Joson trades the crisp white shirt with a more weekend-appropriate one. A coordinated jacket + black tank top + lace up booties! Sue Ramirez is stylishly edgy from head-to-toe—literally. Best worn with a je ne sais quoi attitude a la Glaiza de Castro. 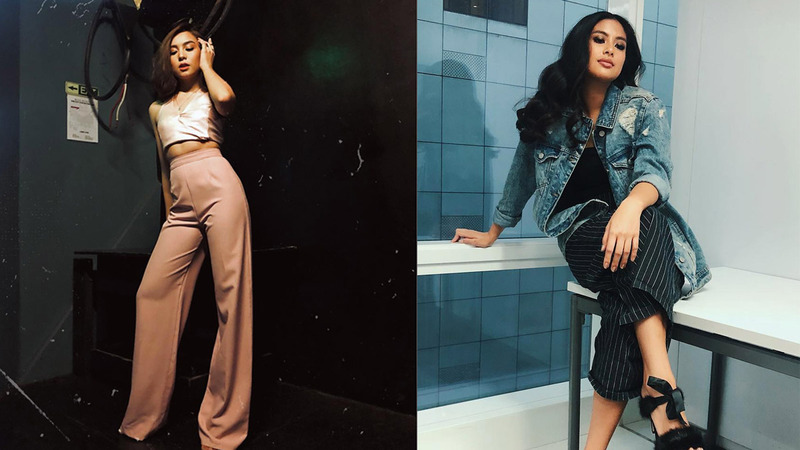 This look on Gabbi Garcia is a perfect day-to-night outfit. Tres chic. Love this style on Rhian Ramos! Kim Jones is clearly an expert at borrowing from the boys. Defintiely ~softens~ the look. Kyline Alcantara is a budding fashionista. Georgina Wilson styles hers preppy and comfy. Ever-the-sun-loving girl Mari Jasmin injects summer-ready vibes into her look.